Angkasa Pura Solusi (PT. APS) held an Inauguration Event for the Branch Office (BO) of PT. APS at Halim Perdanakusuma International Airport on Monday (4/12). This office with an area of â€‹â€‹approximately 90 square meters is located in Halim Perdanakusuma International Airport Terminal Building, 2 Floor. A.56.A / PK and No. A.56.B / PK. The inauguration was attended by the Finance Director of PT. APS Sudarto, Executive General Manager (EGM) PT. Angkasa Pura II (PT. AP II) (Persero) Marsma TNI Pip Darmanto, Deputy EGM PT. AP II Surahmat, the Branch Office General Manager (GM) PT. APS Ronny Marlina Siringoringo, along with PT. AP II Halim Perdanakusuma International Airport branch office staff and managers. On his opening speech, Finance Director of PT. APS Sudarto expressed his gratitude for the support of all parties therefore the development process of PT APS Branch office of Halim Perdanakusuma can run well. To closing his remarks, Mr. Sudarto mentioned about PT. APS Integra, a subsidiary of PT. APS runs four business portfolios, namely outsourcing, training, consulting, and MICE (Meeting, Incentive, Convention, and Exhibition). Sudarto emphasized on the MICE portfolio where PT. APS Integra will later act as the EO (Event Organizer) that manages, both the internal events of the Angkasa Pura group companies and business partners. The next greeting came from Executive General Manager of PT. AP II Marsma TNI Pip Darmanto who hopes that the performance between PT. APS with the parent company PT. AP II can be mutually stronger than before. "I'm sure PT. "APS can complete all its work properly and be able to provide the right solutions to face future business challenges," he said. As a form of gratitude, PT. APS shared its happiness by inviting a number of orphans under the guidance of the Halim Perdanakusuma Baitussalam Al-Mathaar Mosque. After having a brunch together, the series of events were then closed with handing gifts for invited orphans represented by Mr. Sudarto, Mr. Pip Darmanto, and Mrs. Ronny Marlina Siringoringo. Before placing management representatives, PT. APS has four business units operating at Halim Perdanakusuma International Airport, which are Aviation Security (Avsec), Digital, Passenger Services, and Retail. After the establishment of the branch office, PT. APS added to the management of its business in Facility Services, which then successfully delivered PT. APS achieves significant income that can support the company's overall activities. 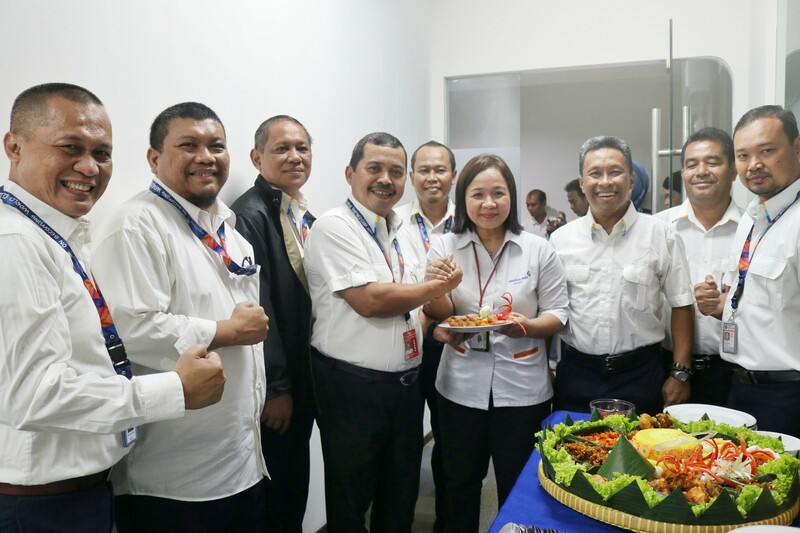 "In approximately 30 days, Halim Perdanakusuma branch won significant revenue for the Facility Services unit with OM (Operation Maintenance) work on three sub-units building work, electricity work, and airside (runway) work, "said the PT. APS Halim Perdanakusuma Branch Office General Manager Ronny Marlina Siringoringo. General Manager Ronny also said that in the near future Halim Perdanakusuma Branch Office is ready to manage several large-scale work plans, one of which is related to the business that is engaged in cleaning.